a-ha's new album "Lifelines" was released in many European countries on 29th April (24th April in Japan / 26th April in Belgium / 27th April in Norway / 7th May in France / 9th May in Sweden / 10th May in Italy / 24th May in Switzerland / 10th June in UK / 14th May in Canada). It was released on both CD and cassette. The cover of this 15 track album is red with white arch-ways along the bottom which almost look like the claws of a large red animal! The a-ha logo in yellow is printed in the middle of the sleeve with the title in white underneath. The 10 page booklet features individual black and white shots of the band members and two group shots, one close up (Magne, Paul and Morten), the other of them sitting (separately) in a theatre. The booklet also features abstract shots of a car, small TV on a chair, telegraph pole, telephone, the inside of an underground train, water, a restaurant and a lamp. The lyrics are printed over the top of some of the photographs. 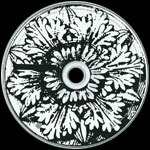 The disc is white with a black and white emblem of a flower. The title is printed in white on a black background strip on the left hand side of the disc. Some copies of the album have extremely glossy CD booklets! The album features Per Lindvall on drums (tracks 1,2,3,7,8,9,10,11,13,14 and 15), Sven Lindvall on bass (tracks 1,2,3,7,8,11,13 and 14), Jørun Bøgeberg on bass (tracks 9 and 10), Anneli Drecker on backing vocals (Tracks 1 and 11) plus additional instruments by Martin Landquist (Tracks 2,12 and 13) and Beats by Attila (Track 12). The album was produced by Martin Landquist (tracks 1,2,3,11,12,13), Stephen Hague (tracks 1,2,3,11), Ian Caple (tracks 4,9,10,15) Paul Waaktaar Savoy (track 5), Tore Johansson (track 6), Clive Langer and Alan Winstanley (tracks 7,8,14). The following people were involved in the song writing: Magne Furuholmen (tracks 1.2,3,8,11,13,14,15), Morten Harket (tracks 2,3,8,11,12), Paul Waaktaar Savoy (tracks 4,5,67,9,10,), Ole Sverre Olsen (tracks 3,12) and Martin Landquist (track 12). The album was mixed by Michael Brauer except track 8 by Stephen Hague and Bob Kraushaar; track 11 by Stephen Hague; track 12 by Carl Michael Herlofsson and track 14 by Clive Langer and Alan Winstanley. There was a UK promo CD which comes with a single-sided front insert with black printed text and without a back sleeve. 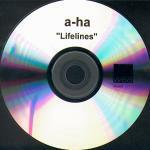 The disc is silver with the title printed incorrectly as "a-ha lifeline" in black letters at the top and includes the "wea RECORDS LIMITED" logo at the bottom. The same mistake with the title is replicated on the insert. The tracks are recorded and listed in a different order on the front insert. It also features the Hague mix of "You Wanted More" (3:38) which can be found on the "Lifelines" single. The "wea RECORDS LIMITED" logo has again been included on the insert at the bottom right hand corner, but there is no Catalogue number. 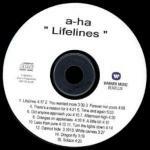 The regular German made album of "Lifelines" was also used as a promo in the UK, it comes with a white rectangular sticker on the front cover of the CD case showing some tour information and contact details; ""A-HA are back! The band release their 7th studio album ‘Lifelines’ on June 10th 2002 through WEA. ‘Lifelines’ is full of timeless melodies, irresistible hooks and classic pop that made A-HA such a phenomenon and the reason why so many bands choose to cover their past hits now! A-HA are set to play so rare live UK shows – having already sold out the Albert Hall (June 25th) they are no adding dates for October in Manchester, Birmingham, London and Glasgow. For More Information Please Contact: Jay Cox (South): 0207-761-6037 or 07810-155-407. Alan Smith (North): 0141-337-6245 or 07803-243285. The back sleeve also contains a small white price style "PROMOTIONAL COPY ONLY NOT FOR SALE" sticker. The German made cassette of "Lifelines" has a similar front cover to the CD release and includes a long fold-out sleeve. Several of the usual artwork pictures taken from the CD booklet are also additionally shown, along with the full track listing printed in white, and some album credits. On the reverse and inside back cover of the folded sleeve displays the regular Manufacturing, Production and Copyright text which reads; "℗ & © 2002 Wea Records / Warner Music Group Germany GmbH & Co Holding Ohg. An AOL Time Warner Company. All rights of the producer and of the owner of the work reproduced reserved. Unauthorized copying, hiring, lending, public performance and broadcasting of this record prohibited. Made in Germany by WARNER MUSIC MANUFACTURING EUROPE". Also included on the back sleeve is a white barcode "8 09274 48494 9" and "wea records" logo, plus Catalogue number 0927 44849-4, LC4281 coding and "www.wea.de" website address. The actual tape itself is clear transparent with a grey centre piece and white printed text. The title "A-HA/LIFELINES" is displayed along the top of each side with tracks 1 to 8 on side 1 and tracks 9 to 15 on the other. On the left hand side, the Catalogue number 0927-44849-4, "wea" and "GEMA/BIEM" logos are shown. On the right hand side, it includes either side 1 or 2, "120 µs" symbol and "DOLBY STEREO HX PRO B NR" logo. Along the bottom of side 1, it displays the same Copyright and Manufacturing information which is printed on the back sleeve. The Record Company Production and Copyright text; "℗ 2002 Wea Records/Warner Music Group Germany GmbH & Co Holding Ohg © 2002 Wea Records/Warner Music Group Germany GmbH & Co Holding Ohg" is instead displayed along the bottom of side 2. There is also a promo cassette of Lifelines which comes in a white paper title sleeve. The tracks are printed in two columns in the middle of the sleeve with the title above. At the bottom of the sleeve the text the following text is printed: "P+C2001 WEA Records Germany / For Promotion Use Only". The WEA logo is printed in the bottom right hand corner. The cassette itself is transparent with white labels on which black text is printed. There is a clear vinyl LP deluxe edition of "Lifelines" which was limited to only 50 copies. The front sleeve comes with the same regular artworks as the CD release, coloured red with the white arch-ways design along the bottom which is like the claws of a large red animal! 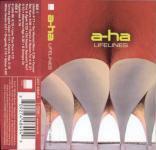 The yellow a-ha logo and title "LIFELINES" in white are printed above. There is an additional round red and white sticker located in the top right-hand corner displaying "Deluxe Limited Edition" and the edition number between 1 and 50. In this case it’s 45/50. The reverse of the sleeve is plain red with a larger showing of the same yellow a-ha logo and white "LIFELINES" title which appears on the front sleeve and is set out in the centre, it is enclosed within a square made up of the full track listing to each side, printed in white with either "SIDE A, B C or D" in yellow. Additionally, at the bottom of the back sleeve is what appears to be an image of a golden disc with a white musical note printed in white alongside, and the initials "P.M" in brown on top. The inside of the album includes two more cardboard inner sleeves to house the two-clear vinyls. Both inner sleeves have images taken from the regular CD colour booklet. The first contains page 4 showing the image of a silver television set on a black chair printed on one side, whilst the reverse of the same sleeve, it instead contains the picture of the three a-ha band members sitting alone on red seating within an empty auditorium, which is taken from the back cover of the booklet. The second inner sleeve includes pages 16 and 17 which are split up to show the parked cars and white album credits on one side of the sleeve and the pedestrians, including the woman with the large pink hat walking along the pavement on the other. Also included with the album are six postcard sided black and white photos containing further pictures of the band members, some are again taken from the CD album booklet. The vinyl themselves are clear with stickered labels displaying the picture of the white arch-ways design taken from the front cover, the track listing on each is printed in white above with the appropriate "SIDE A, B, C or D" instead in yellow. The colour of each side label is however different, "SIDE A" is red, "SIDE B" is purple, "SIDE C" is blue and "SIDE D" is green. Neither the back sleeve nor any of the labels contain any Catalogue numbers or manufacturing information to say where the LP was produced or was released, so it appears to be unofficial. The Argentine CD edition of "Lifelines" is like the European release except for some Warner Music Argentina distributing and Copyright information printed and displayed in Spanish on the back sleeve and around the outer rim of the disc, it reads; "℗ & © 2002 Wea Records / Warner Music Group Germany GmbH & Co Holding Ohg. An AOL Time Warner Company. Publicado distribuido por Warner Music Argentina S.A. Warner Music Group. An AOL Time Warner Company. Miembro de CAPIF. Reservados todos los derechos del productor, de los autores y de los interpretes de las obras reproducidas en este ejemplar, prohibida la reproduccion, regrabacion, alquiler, prestamo, canje, ejecucion publica, radiodifusion y cualquier uso no autorizado de estos fonogramas. SADAIC – BIEM / AADI – CAPIF. INDUSTRIA ARGENTINA". The regular white "wea records" logo is included on the back sleeve but slightly larger in size, along with the usual "LC 04281" coding and "www.wea.de" website address. An additional "COMPACT disc DIGITAL AUDIO" and "WARNER MUSIC ARGENTINA" logos have been added. On the front cover, there is also an additional small "ifpi" silver hologram sticker included. The inside of the CD contains the regular 19 paged colour booklet displaying the full track lyrics and album artworks. The disc itself is coloured black and white showing the regular layout and title "a-ha • lifelines" on the left-hand side. The Catalogue number is also the same as the European release 0927 44849-2 and is displayed on the back sleeve, spine and disc. The Argentine promo release of the CD album comes with the same layout as the regular edition, but without the silver "ifpi" hologram sticker on the front cover. It includes an additional red promo stamp on the disc which reads; "Disco Promocional Prohibida Su Venta". The first Brazilian CD edition of "Lifelines" was Manufactured by "Videolar" and distributed by "Warner Music Brasil Ltda", it is similar to the European release showing the regular artworks, but the inner booklet contains only 11 pages rather than the usual 19. The lyric pages are present, but some of the band shots have been excluded. There is a silver "ifpi" hologram sticker included on the front cover. The back sleeve comes with some Brazilian Manufacturing and distributing information displayed under the barcode which reads; "℗ & © 2002 Wea Records /Warner Music Group Germany GmbH & Co Holding Ohg. Warner Music Group, uma empresa AOL Time Warner. "Fabricado no Polo Industrial de Manaus por Videolar S.A. Av, Solimoes, 505 Distrito Industrial CNPJ: 04.229.761/0004-13 Industria Brasileira. Distribuido pela Warner Music Brasil Ltda. CNPJ: 42.470.112/0012-09". The Brazilian "www.warnermusic.com.br." website address and regular white "wea records" logo are included, but an additional "COMPACT disc DIGITAL AUDIO" and "flying Amazon bird PRODUZIDO NO POLO INDUSTRIAL DE MANAUS CONHECA A AMAZONIA" logos have been added. 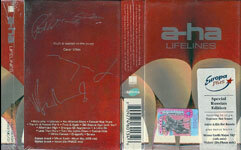 The disc itself comes with the regular layout with the title "a-ha • lifelines" on the left-hand side. There is also some Brazilian text printed around the outer rim which is similar to that shown on the back sleeve, although some additional Copyright information has now been included; "092744849-2 © ℗ 2002 WEA Records / Warner Music Germany Group Germany GmbH & Co Holding Ohg. Warner Music Brasil Ltda - Todos os direitos reservados prohibida a execucao publica radioteledifusao e locacao. Fabricado por Videolar® - Industria Brasileira - sob licenca da Warner Music Brasil Ltda - CNPJ 42.470.112/0001-56 - Warner Music Group, uma empresa AOL Time Warner". The Catalogue number 092744849-2 on display is the same as the European edition. There is a second Brazilian "Videolar" made CD release of quot;Lifelinesquot; which is very similar to the earlier edition, including the 11 page lyric booklet, but comes instead with some slightly amended Brazilian Manufacturing and Distributing information on the back sleeve which reads; "℗ & © 2002 Wea Records /Warner Music Group Germany GmbH & Co Holding Ohg. Warner Music Brasil Ltda., uma empresa Warner Music Group. Produzido no Polo Industrial de Manaus por Videolar S.A.-Av. Solimoes, 505 - Distrito Industrial - Manaus-AM - CNPJ 04.229.761/0004-13 - Industria Brasileira. Distribuido pela Warner Music Brasil Ltda. - CNPJ 42.470.112/0012-09. The usual Brazilian "www.warnermusic.com.br" website address, "Compact disc DIGITAL AUDIO" and "flying Amazon bird PRODUZIDO NO POLO INDUSTRIAL DE MANAUS CONHECA A AMAZONIA" logos on the back sleeve are again included, however the design of the "flying Amazon bird" logo has now been printed in bold white & differs slightly compared to the earlier "Videolar" release. The disc itself is exactly the same as the earlier edition with the title "a-ha • lifelines" printed in white on the left hand side and the Manufacturing and distributing text diplayed around the outer rim. On the spine of the CD case & around the centre ring of the actual disc, we now have some additional batch issue coding which is AA0001000. The "Lifelines" CD was re-released a third time in Brazil by "Videolar", it again comes with a similar layout and design to the earlier "Videolar" releases and contains the same 11 page lyric booklet, but the Manufacturing & distributing text on the back sleeve has again been changed to read "℗ & © 2002 Wea Records /Warner Music Group Germany GmbH & Co Holding Ohg. Warner Music Group, uma empresa AOL Time Warner. Produzido no Polo Industrial CNPJ: 04.229.761/0004-13 Industria Brasileira. Distribuido pela Warner Music Brasil Ltda. CNPJ: 42.470.112/0012-09 sob encomenda da Warner Music Brasil Ltda. CNPJ: 42.470.112/0012-09.". Like the previous "Videolar" releases, the usual Brazilian www.warnermusic.com.br website address is included on the back sleeve, along with the "Compact DISC Digital Audio", "wea records" and "flying Amazon bird PRODUZIDO NO POLO INDUSTRIAL DE MANAUS CONHECA A AMAZONIA" logos, however the design of the "flying Amazon bird" logo is somewhat smaller and not printed in bold on this third release. The layout and design of the actual disc remains unchanged and is exactly the same as the earlier "Videolar" edition. On the spine of the CD case & around the centre ring of the actual disc, we again have some additional batch issue coding which is AB0000500. There is another Brazilian CD release which was instead Manufactured & distributed by "Sonopress" under license to "Warner Music Brasil Ltda", it comes with the same front cover artworks, but displays some different Manufacturing, distributing and additional Copyright information on the back sleeve; "℗ & © 2002 Wea Records / Warner Music Group Germany Gmbh 7 Co Holding Ohg. Warner Music Group Produzido no Polo Industrial de Manaus e distribuido por Sonopress Rimo Ind e Com. Fonog S.A. - Ind Bras. Rua Ica, nº 100-A - Distrito Industrial - Manaus - AM - CNPJ 67.562.884/0004-91. Sob Licenca de Warner Music Brasil Ltda. - CNPJ 42.470.112/0012-09 Todos os direitos reservados. Proibida a reproducao, execucao publica e locacao desautorizadas sob as penas da lei. O Prazo de validade do disco CD ou DVD e indeterminado desde que observado os seguintes cuidados Armazenar em local seco, livre de poeira, nao expor ao sol, nao debrar, nao engordurar, nao manter a uma temperatura superior a 55°C e umidade acima de 60g/m3 e segurar o disco sempre pela lateral e pelo furo central. DISCO E CULTURA. denuncie a pirataria [email protected]". Also included on the back sleeve is the regular "flying Amazon bird PRODUZIDO NO POLO INDUSTRIAL DE MANAUS CONHECA A AMAZONIA" logo, but the font size of it is again smaller and matches the one on the third "Videolar" release, there is also some additional "www.warnermusic.com.br" and "www.warnermusicstore.com.br" website addresses, plus the usual "COMPACT Disc DIGITAL AUDIO" logo. The disc also comes with the regular artworks displaying the title "a-ha • lifelines" in white on the left hand side, but both the "flying Amazon bird PRODUZIDO NO POLO INDUSTRIAL DE MANAUS CONHECA A AMAZONIA" and "COMPACT disc DIGITAL AUDIO" logos which appear on the back sleeve, have now been additionally included on the disc. The Brazilian Manufacturing, distributing and Copyright text around the outer rim of the disc has also been amended to match the back sleeve, which differs compared to the earlier "Videolar" editions. 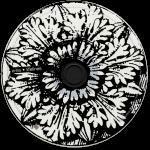 On the spine of the CD case and around the centre ring of the disc, we have the batch issue coding which is AC0001000. The Bulgarian Cassette of "Lifelines" is like the German made European release coming with a similar fold-out sleeve. There is a silver "Б.А.М.П" hologram sticker included at the bottom right hand corner of the front sleeve. On the back cover, it is coloured the usual red with the full track listing printed in white down the left-hand side. There is no barcode included, but instead displays that the cassette was "Manufactured by Orpheus Music, a Warner Music International Licensee" with the Catalogue number 0927-44849-4 printed underneath. The regular German made Production and Copyright information is also shown; "℗ & © 2002 Wea Records / Warner Music Group Germany GmbH & Co Holding OHG. An AOL Time Warner Company. All rights of the producer and of the owner of the work reproduced reserved. Unauthorized copying, hiring, lending, public performance and broadcasting of this record prohibited", but omits the European text; "Made in Germany by WARNER MUSIC MANUFACTURING EUROPE" at the end. The regular "wea records" logo, "LC4281" coding and "www.wea.de" website address are included as normal. The inside of the fold-out sleeve comes with the same layout as the German made European edition displaying the regular album artwork pictures, the full track listings and credits information is also printed in the usual white text. On the reverse of the back cover, it again shows the regular Production and Copyright information, but unlike the back cover, the regular German Manufacturing text; "Made in Germany by WARNER MUSIC MANUFACTURING EUROPE" has now been additionally included. The tape itself is transparent clear with a grey centre piece and white printed text, it is similar to the German made European release, but some of the printed text is shown in a slightly larger font size. Along the top in uppercase lettering is the title; "A-HA/LIFELINES" with the full track listing to each side displayed underneath. On side 1, there is an additional number 8 printed before the track "Oranges on Appletrees". The regular white "wea" logo is displayed on the left hand side, but slightly larger in size and includes the word "records" afterwards which doesn’t appear of the German made European tape. The Catalogue number 0927-44849-4 and "GEMA/BIEM" information is also shown. On the right hand side, it includes side "1" or "2", "120μs" logo and the "Dolby HX-PRO B-NR" symbol. Along the bottom of Side 1, it displays the same Copyright information which appears on the back sleeve, and the fact that the Cassette was again "Manufactured by ORPHEUS MUSIC, a Warner Music International licensee". At the bottom of side 2, there is no usual "Wea Records" Production and Copyright text included and the tape has just a blank space. On the actual cassette case itself, there is an additional ОРФЕЙ МЮЗИК (Orpheus Music) logo engraved into the plastic at the top right hand corner. The Canadian CD edition is very similar to the European edition showing the regular artworks, but comes with a slightly darker front and back coloured sleeve. The standard white barcode "8 09274 48492 5" is included as usual at the top right hand corner of the back sleeve. There is also with some Canadian Manufacturing and Copyright information displayed in both English and French on the back sleeve which reads; "℗ & © 2002 WEA Records / Warner Music Group Germany GmbH & Co Holding Ohg. All rights reserved. Unauthorized reproduction, copying and rental of this recording is prohibited by law. Tous droits reserves. Sauf autorisation, la duplication ou la location de ce disque sont interdites sous peines de poursuites judiciaires. Manufactured and distributed by / Fabrique et distribue par Warner Music Canada Ltd, 3751 Victoria Park Avenue, Scarborough, Ontario M1W 3Z4. An AOL Time Warner Company. Une entreprise de AOL Time Warner". The regular "wea records" logo and "www.wea.de" website address are included. The Catalogue number 2 44849 on display is also different compared to the European release. The inside of the CD comes with the regular colour lyric booklet displaying the album artwork pictures, it additionally includes the Catalogue number printed on the back cover. The disc itself comes with the regular layout and is similar to the European release, the title a-ha • lifelines is displayed on the left hand side and unlike the European release, there is no additional clear circular section to the centre ring. Around the outer rim of the disc is some Manufacturing text, similar to that shown on the back sleeve; "wea records 2 44849 ℗ 2002 WEA records / Warner Music Group Germany GmbH & Co Holding Ohg. An AOL Time Warner Company. Manufactured and distributed by / Fabrique et distribue par Warner Music Canada Ltd. An AOL Time Warner Company. Une entreprise de AOL Time Warner. All Rights reserved. Tout droits reserves". There is a French promo CD of "Lifelines" which comes with a text printed front insert and without a back insert. The disc is plain with "a-ha lifelines" printed in black letters at the top. Also, "Dragonfly" is printed incorrectly as "Dragon Fly". It doesn't have a catalogue number. There was a German promo album of "Lifelines" which comes with a fold-out front paper sleeve and back insert. The front of the fold-out sleeve is white with black printed text and displays a white copy of the actual disc itself, on a black background. The a-ha logo is displayed along the top with the title "Lifelines" underneath. On the left-hand side, there is a black "wea records" logo, whilst on the right, it shows a "COMPACT disc DIGITAL AUDIO" logo and Catalogue number 092 744 849-2/4. There is some Production and Copyright text included along the bottom; "℗ + © WEA Records Germany" and that the CD was used "FOR PROMOTION ONLY!" The reverse of the front fold-out sleeve also has the grey outline of a CD but on a white background, printed over the top of this CD image is the full track listing shown down the left-hand side, the track lengths are included on the right with a-ha and the title "Lifelines" above. The "wea records" and the "COMPACT disc DIGITAL AUDIO" are placed in, respectively, the bottom left and bottom right hand corners. The track "Dragonfly" has been printed as "Dragon Fly" in the track listing. 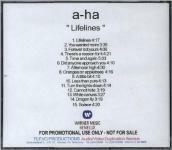 On the back insert which is plain white with black text, it displays the title along the top a-ha "Lifelines", with the full track listing including track lengths underneath. Along the bottom is the regular "℗ + © 2002 WEA Records Germany FOR PROMOTION ONLY!" text, plus the "wea records" logo. The disc itself is silver with black text and comes with the exact same layout as the front fold-out sleeve. The promo CD comes with a white Warner Music Benelux back sleeve with track list printed down the middle in black text. It doesn't come with a front sleeve. The disc is white with the title printed in black letters at the top and the track listing at the bottom. The Indonesian CD release is similar to the European edition and includes the same front and back cover artworks. On the back sleeve, the Manufacturing & Copyright information has been slightly amended to include that the CD was instead "Made in Indonesia by WARNER MUSIC INDONESIA". There is also an additional orange and green "LUNAS PPN CD ASING" leafed strip attached onto the back sleeve displaying some grey printed text; "PROD : WARNER MUSIC NPWP/TH: 01.774.419.4-056.000 /2001". On the inside of the album, it includes the regular colour booklet with full track lyrics and album artwork pictures. The disc itself comes with a similar layout to the European release, although the colouring of it appears to look more light blue than the regular plain white. The title "a-ha • lifelines" as usual is printed on the left hand side with the same Manufacturing and Copyright text which appears on the back sleeve, printed in silver around the outer rim, it reads; "wea 092744849-2 2002 Wea Records / Warner Music Group Germany GmbH & Co Holding Ohg. An AOL Time Warner Company. All rights of the producer and of the owner of the work reproduced reserved. Unauthorized copying, hiring, lending, public performance and broadcasting of this record prohibited. Made in Indonesia." On the Spine of the CD case, it displays the regular European Catalogue number 0927 44849-2 along with the additional Indonesian number WMI 1678. The Cassette is similar to the German made European release, although the artwork is not printed as clear and sharp. On the back cover, the regular Production and Copyright Information; "℗ & © Wea Records / Warner Music Group Germany GmbH & Co Holding Ohg. An AOL Time Warner Company. All rights of the producer and of the owner of the work reproduced reserved. Unauthorized copying, hiring, lending, public performance and broadcasting of this record prohibited" is shown, but the Manufacturing text has been amended to state that the cassette was "Made in Indonesia by WARNER MUSIC INDONESIA". The usual white "wea records" and barcode are also displayed along with the Catalogue number 0927 44849-4 and "www.wea.de" website address, but there is no regular LC4281 coding. The album release date of W.04.02 has instead been included. The inside of the album comes with the long fold-out sleeve displaying the regular album artwork pictures and includes the track listing and credits information printed in the usual white. On the inside of the back cover, the same Indonesian Manufacturing, Production and Copyright text which appears on the back cover is shown. On the spine, it has an additional number "HWO 5786" printed in white at the top. The text on the actual tape itself differs from the German made European release with the layout, design and font size being slightly different. The A-HA logo is displayed along the top with the title "Lifelines" shown instead in italics. The regular track listing is included underneath to both sides, but there are some mistakes in the track listing: The number 8 before "Oranges On Appletrees" plus "Turns the Lights Down" and "White Canvass". The regular white "wea" logo is displayed on the left-hand side, with side "A" or "B" and the Catalogue number 0927-44849-4 on the right. Along the bottom of each side of the tape is the same regular Production and Copyright text which appears on the back cover; "℗ & © Wea Records / Warner Music Group Germany GmbH & Co. Holding Ohg. An AOL Time Warner Company. All Rights Reserved". The Japanese release has 3 bonus tracks compared with the European release: Differences (Original demo) (2:47) / Hunting High And Low (live in Oslo) (7:07) / Manhattan Skyline (live in Oslo) (6:14) plus a Japanese lyric insert with a message to the Japanese fans. It comes with a red obi strip with Japanese titles in yellow and white. The CD booklet is almost identical to the European release, but the paper used is much less glossy! The first edition comes with a credit card size pocket calendar (April to December only). This album is not available for export. The promo copy is the same as the regular edition, but has the text "sample loaned" (in red) etched around the centre of the disc and a white and red promo sticker on the barcode of the obi strip. There is a Japanese promo cassette which comes in a green paper title sleeve. The tracks are printed inside with the title above. The front sleeve features in a-ha and the title printed at the top (the title is printed in English and Japanese) with a printed picture of the album cover underneath. At the bottom of the sleeve the following text is printed: "2002.4.24 ON SALE / Sample Tape For Promotion Only". The WEA logo is printed in the bottom right hand corner. The cassette itself is green with green labels on which black text is printed. The catalogue number of the official release (WPCR-11237) is printed on the cassette. The Korean CD album of "Lifelines" is similar to the European release displaying the usual artworks, but includes some Korean Manufacturing and Copyright information on the back sleeve; "℗ & © 2002 Wea Records / Warner Music Group Germany GmbH & Co Holding Ohg. An AOL Time Warner Company. All rights of the producer and of the owner of the work reproduced reserved. Unauthorized copying, hiring, lending public performance and broadcasting of this record prohibited. Made in Korea by Warner Music Korea Ltd. Warner Music Group, an AOL time Warner Company". Along the bottom of the back sleeve displayed in white is some further text printed mainly in Korean which includes a Record Company name; "HWA EUM AZ MUSIC", registration number; "275 K.B.S.C 2002-300" and the date of manufacture; "(02.4.11.) Made in Korea". The release date of the album; "(02.5.8.)" is also shown. The inside of the album comes with the 19 page colour lyric booklet displaying the regular artwork pictures; it additional shows that it was "Printed in Korea" on the inside. There is also a double-sided insert with some information about a-ha in Korean and the tracks included on the album. 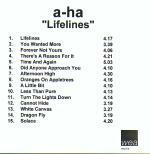 The disc is black and white displaying the usual artwork layout and design, the title a-ha • lifelines is printed on the left-hand side. The outer rim of the disc has a plain white trim with black printed text and displays some slightly different Manufacturing and Marketing information compared to the back sleeve; "MANUFACTURED BY HWA EUM AZ MUSIC IN COOPERATION WITH HWA EUM AZ MUSIC REGISTRATION NO. 275 TO THE MINISTRY OF CULTURE & TOURISM. MARKETED & DISTRIBUTED BY WARNER MUSIC KOREA LTD., AN AOL TIME WARNER COMPANY. ALL RIGHTS OF THE PRODUCER AND OF THE OWNER OF THE WORK REPRODUCED RESERVED. UNAUTHORIZED COPYING, HIRING, LENDING, PUBLIC PERFORANCE AND BROADCASTING OF THIS RECORD PROHIBITED". The Catalogue number 0927 44849-2 is shown on both the spine and back sleeve, but has been omitted from the disc. The Korean cassette is similar to the German made release with the regular front and back cover artworks and fold-out sleeve. On the back sleeve the usual German Manufacturing, Production and Copyright text has been amended to include some Korean Manufacturing information which is printed in both English and Korean; "℗ & © 2002 Wea Records / Warner Music Group Germany GmbH & Co Holding Ohg. An AOL Time Warner Company. All right of the producer and of the owner of the work reproduced reserved. Unauthorized copying, hiring, lending, public performance and broadcasting of this record prohibited. Made in Korea by Warner Music Korea, Ltd.. Warner Music Group, an AOL Time Warner Company". The release date of (02.5.8.) is also shown, plus the layout of the white barcode differs slightly to include a revised number "4 09274 48494 1". On the spine, there is a blue "Warner Music" logo with the text; "WARNER MUSIC KOREA" and Catalogue number 44849-4 printed in black at the bottom. The Tape itself is white with a yellow stickered label and white printed text. The a-ha logo along the top has been printed instead in black. There is an additional silver "Warner Music" logo displayed in the centre in-between both cogs of each side. Selected Norwegian record stores gave away free gifts with the first sold copies of the album. The free 'gifts' included a red a-ha football shirt, a poster and the Homecoming Live at Vallhall DVD. Shops opened at midnight on Friday 26th April to start selling the new album! There is a promo CD of lifelines which comes in a blue and white wea printed sleeve. The top third of the sleeve is white with small blue "wea"-logos while the bottom section is blue with one large white "wea"-logo in the centre. "a-ha" is printed in black letters inside a white strip with the title in white letters on a black strip directly underneath. The tracks are listed in black in the bottom section of the sleeve while the catalogue number and promo details are in black and white letters on respectively white and black strips. The disc is of similar design to the cover with the bottom section blue with black text and the top section with small blue wea logos. This promo CD was made in Germany, but is believed to have been produced for the Norwegian market. The album claims to feature the "NY Mix II" of Forever Not Yours (track 3), but it is actually the same mix as the regular edition. The German made European CD release of Lifelines was used as an import and was available in Poland, it comes with some Polish advertisement stickers for a local commercial radio station; "Radio Eska", weekly news magazine; "wprost" and an on-line news and Polish music website; "Codzienna cgm.pl Gazeta Muzyezna", there is also a silver anti-piracy "ZPAV ZAiKS" Compact disc/Cassette hologram sticker additionally stuck onto the CD case. The Polish Cassette release of "Lifelines" was Manufactured by Polish Record Company "TAKT 146/FV", it is very similar to the German made European release including the same fold-out sleeve, but like the Polish CD release, there is an additional square silver "ZPAV-ZAIKS" Compact Disc/Cassette hologram sticker located on the front cover. Some copies of the cassette also come with the same additional Polish coloured stickers which were included on the CD release advertising; "Radio Eska", "wprost" and "Codzienna cgm.pl Gazeta Muzyezna". The actual tape is transparent clear with a grey centre piece and white printed text, the layout and design differs compared to the German made release. The title "A-HA – LIFELINES" is displayed along the top with the track listing to each side included underneath. On the left hand side, the "wea" and "WARNER MUSIC" logos are shown. Whilst on the right hand side, it displays; "SIDE A" or "SIDE B", the Catalogue number 0927 44849-4, "DOLBY STEREO" logo and "BIEM/GEMA/ZAIKS" text. Along the bottom of both sides is some Copyright and Manufacturing information; "ALL RIGHTS OF THE PRODUCER AND OF THE OWNER OF THE OWNER OF THE WORK REPRODUCED RESERVED. UNAUTHORIZED COPYING, HIRING, LENDING, PUBLIC PERFORMANCE AND BROADCASTING OF THIS RECORDING PROHIBITED. MANUFACTURED BY TAKT 146/FV". The Romanian cassette release of "Lifelines" has a similar fold-out sleeve to the German made European edition displaying the regular front and back cover artworks, but the a-ha logo on the front cover and spine is coloured yellow instead of the usual pale green. There is also an offical silver "UPFR ROMANIA UPFR" Cassette hologram sticker included on the front cover. On the reverse of the folded sleeve, it displays the regular Production and Copyright information which reads; "℗ & © 2002 Wea Records / Warner Music Group Germany GmbH & Co Holding Ohg. An AOL Time Warner Company. All rights of the producer and of the owner of the work reproduced reserved. Unauthorized copying, hiring, lending, public performance and broadcasting of this record prohibited". The usual German Manufacturing text at the end has been replaced instead with "Made in Romania by ALMA ARTEX". The back sleeve also includes the white European barcode "8 09274 48494 9" and "wea records" logo, plus Catalogue number 0927 44849-4, "LC04281" coding and "www.wea.de" website address. The full track listing is printed in white and displayed as usual on the left hand side. The inside of the folded insert includes the regular layout showing the artwork pictures taken from the European CD booklet, plus the full track listing again in white and the album credits. The tape itself is also very similar to the German made European release, being transparent clear with a grey centre piece and white printed text. 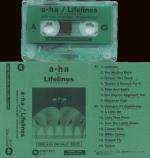 The title "A-HA/LIFELINES" is displayed along the top of each side with tracks 1 to 8 on side 1 and tracks 9 to 15 on the other. On the left hand side, it displays the Catalogue number 0927-44849-4, plus the "wea" and "GEMA/BIEM" logos. Whilst on the right hand side, it instead includes either side "1" or "2", "120 µs" symbol and the "DOLBY STEREO HX PRO B NR" logo. Along the bottom of side 1, the same Copyright text is shown which appears on the back sleeve, but unlike the German made European release, there is no Manufacturing information displayed. At the bottom of side 2, there is some Record Company Production and Copyright Information included; "℗ & © 2002 Wea Records / Warner Music Group Germany GmbH & Co Holding Ohg. An AOL Time Warner Company". There was a Special Russian Edition CD which features an exclusive "Introduction" track (0:11) plus bonus tracks: Minor Earth, Major Sky (ATB Mix) (5:47) and Velvet (De-Phazz Mix) (3:47). The CD comes in a special card slipcase. The artwork on the front of the slipcase differs slightly from the front sleeve of the European release; the a-ha logo and title are both printed in light grey and the font size is much larger. There is also a "Europa Plus" sticker on the front listing the bonus material and a pink and light blue "MOCKBA" sticker. The reverse of the slipcase is red with the quote by Oscar Wilde in the centre and printed autographs of the band members in gold around the quote. The track list is printed in white at the bottom of the slipcase. The CD found in the slipcase has front and back inserts which are similar to the European release. The front sleeve is a double sided insert rather than a booklet and includes a tear off coupon allowing 10% discount for the Moscow concert. The disc of the Russian release also differs slightly from the European edition. The title has been printed in much larger, silver letters at the top of the disc. Warner Music and other text is printed in silver towards the bottom of the disc. There was a cassette available of the Special Russian Tour Edition of "Lifelines". It has a similar sleeve to the European release, but with the "Europa Plus" sticker on the front indicates that it is the Special Russian Edition with intro A-HA for Russia plus bonus tracks: "Minor Earth Major Sky" (Atb Mix), "Velvet" (De-Phazz Mix). The bonus material is also listed on the cassette sleeve. The cassette tape is transparent with white text. Another special Russian edition cassette comes in a cardboard slipcase with the regular plastic cassette case inside. The sleeve is of very similar design to the special edition CD slipcase and includes the Europa Plus and "MOCKBA" stickers. As with the CD, it includes the bonus tracks "Minor Earth Major Sky" (Atb mix) and "Velvet" (De-Phazz mix). "Lifelines" was re-issued on CD by Никитин in Russia. In comes with a coloured obi-strip, continuing the cover artwork on the front with white text and Warner Music logo. The back of the obi also includes continuation artwork of the back sleeve (although doesn't match up very well) plus cover shots of "Minor Earth Major Sky" and "Stay On These Roads". There is also a "For sale in Russia" hologram sticker on the front. The South African CD release of Lifelines was "Made by CDT" and "Marketed & Distributed by Gallo Record Company", it is similar to the European release displaying the same front and back cover artworks. On the back sleeve, the white barcode at the top right hand corner comes with a different number "6 001208 012530" compared to the European release. The Manufacturing and Copyright information has also been slightly amended to read; "℗ & © 2002 Wea Records / Warner Music Group Germany GmbH & Co Holding Ohg. An AOL Time Warner Company. All rights of the producer and of the owner of the work reproduced reserved. Unauthorized copying, hiring, lending, public performance and broadcasting of this record prohibited. Marketed & Distributed by Gallo Record Company". The regular white "wea records" logo and "www.wea.de" website address are shown, along with a different Catalogue number WICD 5332 and additional white "Gallo Record Company" logo. The full track listing is shown as normal down the middle of the back sleeve, printed in red and includes the track lengths. The revised Catalogue number is also displayed on the spine. The inside of the CD comes with the regular colour booklet with full track lyrics and album artwork pictures. The disc itself has a similar design to the European release, but coming without the regular clear circular section to the centre ring. The title a-ha • Lifelines is as usual displayed on the left hand side with the same South African Manufacturing and Copyright text which appears on the back sleeve, printed in silver and located around the outer rim; "Gallo Record Company RISA ℗ 2002 Wea Records / Warner Music Group Germany GmbH & Co Holding Ohg. An AOL Time Warner Company. All rights of the producer and of the owner of the work reproduced reserved. Unauthorized copying, hiring, lending, public performance and broadcasting of this record prohibited. Made by CDT. Marketed & Distributed by Gallo Record Company". The Taiwan CD release of "Lifelines" is similar to the German made European release displaying the usual front and back cover artworks, but coming with a large obi-strip covering the whole of the back cover. The back of the obi has the same shot as the back sleeve but the track listing has been printed in white down the right hand side, rather than in red down the middle. The track listing for "Dragonfly" has been displayed as "Dragon Fly". 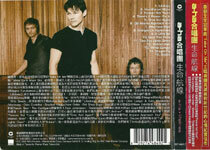 There is also a large amount of white track and album release information printed in Taiwanese across the middle of the obi, it refers to the hit single "Take On Me", previous album "Minor Earth Major Sky" and the three band members; Morten Harket, Pal Waaktaar-Savoy and Magne Furuholmen, there is also reference to Pal's Savoy "Timbersound" and Morten's "Wild Seed" solo albums. Some other parts of the text gives credits to the producers "Clive Langer & Alan Winstanley", "William Orbit", "Tore Johansson" and "Ian Caple" who have worked on the Lifelines album and have done work with other artists like; "Morrissey", "Elvis Costello", "New Order", "Pet Shop Boys" and "The Cardigans". At the bottom of the back obi, it displays the "WARNER MUSIC TAIWAN" and "wea" white logos. There is also some Record Company contact details again printed in Taiwanese, plus the "www.a-ha.com" and "warnermusic.com.tw" website addresses. The regular Production and some Manufacturing text has also been included, but printed instead in English; "℗ © 2002 WEA Records / Warner Music Group Germany GmbH & Co Holding Ohg. An AOL Time Warner Company. Made in Taiwan by Warner Music Taiwan Ltd". The standard white barcode "8 09274 48492 5" is located in the bottom right hand corner. The front of the obi is red with the text printed in yellow and white. The a-ha logo is displayed in both English and Taiwanese, whilst the title "Lifelines" itself is just shown in Taiwanese. There is again reference to the hit singles "Take On Me" and "Forever Not Yours", plus it lists some of the other artists which also appear in the text on the back of the obi. The spine is black and displays the Taiwanese album title in white, with the English translation "a-ha • lifelines" alongside in the usual red font. There is a white "WARNER MUSIC TAIWAN" logo at the top and the Catalogue number 0927-44849-2 in white at the bottom. The album itself comes in a regular jewel case and includes the German made European 19 page lyric booklet. On the back sleeve, the usual white barcode is displayed at the top right hand corner with the Manufacturing, Production and Copyright text printed underneath; "℗ & © 2002 Wea Records / Warner Music Group Germany GmbH & Co Holding Ohg. An AOL Time Warner Company. All rights of the producer and of the owner of the work reproduced reserved. Unauthorized copying, hiring, lending, public performance and broadcasting of this record prohibited. Made in Taiwan by Warner Music Taiwan Ltd". The regular "www.wea.de" website address, Catalogue number 0927 44849-2, "LC4281" coding and "wea records" logo are additionally included. The disc comes with the regular layout and design, but there appears to have been a printing error as there is a black strip on the left hand side, but no "Lifelines" text printed on it!. Around the outer rim of the disc printed in silver is the same Manufacturing, Production and Copyright text which appears on the back sleeve. The Thailand CD edition of "Lifelines" comes with the regular front and back cover artworks and is similar to European release, but includes an additional blue and white "WARNER MUSIC THAILAND / ifpi 399 uาn" rectangular sticker on the front of the CD case. On the reverse of the sleeve, the Manufacturing, distributing and Copyright information has been revised to read; "℗ & © 2002 Wea Records / Warner Music Group Germany GmbH & Co Holding Ohg. An AOL Time Warner Company. All rights of the producer and of the owner of the work reproduced reserved. Unauthorized copying, hiring, lending, public performance and broadcasting of this record prohibited. MANUFACTURE AND DISTRIBUTED BY WARNER MUSIC THAILAND LTD". The regular "www.wea,de" website address, Catalogue number 0927 44849-2, "LC 04281" and white "wea records" logo are also included. The inside of the album comes with the usual 19 page lyric booklet displaying the same artwork pictures as the European edition. 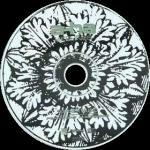 The disc is also of a similar design, showing the title a-ha • Lifelines printed in the usual white on the left hand side. The text; "Made in Thailand" has been additionally displayed around the outer rim of the disc. The promo edition of the album comes without the blue and white "WARNER MUSIC THAILAND / ifpi 399 uาn" rectangular sticker on the CD case. It includes two holes punched through the back sleeve and has the text; "NOT FOR SALE PROMOTION ONLY" printed in white around the centre ring of the disc. The Thailand Manufacturing, distributing and Copyright information shown also remains the same. The Thailand cassette comes with a blue and white "WARNER MUSIC THAILAND / ifpi 119 uาn" rectangular sticker on the front of the cassette case. The sleeve folds-out and is similar to the German release displaying the regular album artworks, but on the reverse, it states that it was "MANUFACTURED AND DISTRIBUTED BY WARNER MUSIC THAILAND LTD". The tape itself is transparent/green with a grey centre piece and white printed text. The title; "a-ha LIFELINES" with the track listing to each side underneath is set out differently and comes with a different font size. The "wea records" logo and Catalogue number 0927-44849-4 is displayed on the left hand side but the "wea" logo is larger than on the German release, with "side 1/2" on the right hand side being smaller. Along the bottom of Side 1 is some Manufacturing and Distributing text; "℗ & © 2002 Wea Records/Warner Music Group Germany GmbH & Co Holding Ohg. An AOL Time Warner Company, Manufactured and Distributed by Warner Music Thailand". Whilst along the bottom of Side 2 is instead some Copyright information; "All rights of the producer and of the owner of the work reproduced reserved unauthorized copying, hiring, public performance and broadcasting of this recording prohibited". On the back of the actual cassette case has the "Warner Music" logo engraved into the plastic. The Turkish cassette of "Lifelines" is similar to the regular German made European release coming with the same colour fold-out sleeve, but on the back cover, the regular white Production and Copyright information has been amended to show only the Production text, plus a Turkish Record Company contact address printed in black; "℗ & © 2002 Wea Records / Warner Music Group Germany GmbH & Co Holding Ohg. An AOL Time Warner Company. WEA Int’l. Inc. lisansi ile BALET PLAK tarafindan yayinlanmistir. I.M.Ç. 6. Blok 6645-46 Unkapani-istanbul Tel: (0212) 522 75 85". The full track listing is printed as normal in white down the left hand side, with the usual "wea records" logo and white barcode displayed to the right. The Catalogue number 0927 44849-4 and "www.wea.de" website address are located above, along with some additional "BM 1976" coding. The inside of the fold-out sleeve is the same as the German made European sleeve, showing the regular album artwork pictures. The track listings and credits information are shown in the usual white printed text. On the inside of the back sleeve, the regular Production and Copyright information has been printed, but most of it is now displayed in Turkish to read; "℗ & © 2002 Wea Records / Warner Music Group Germany GmbH & Co Holding Ohg. An AOL Time Warner Company. Bu eserin tüm haklari Balet Plak ve Müzikaset Tic. tarafindan korunmaktadir. Eserlerin coğaltilmasi, kopyalanmasi ve izinsiz olarak çalinmasi kesinlikle yasaktir. Buna uymayanlar hakkinda 5846 ve 4110 sayili Fikir ve Sanat Eserleri Kanunu, 3257 sayili Sinema ve Müzik Eserleri Kanunu ve 551 sayili Markalar Kanunu hükumleri gereğince Cumhuriyet Başsavciliklari nezdinde hukuki ve cezai takibatta bulunulacaktir." when translated it reads; "All the rights of this work Balet Plak and Müzikaset Tic. copying and unauthorized playing of works are strictly prohibited. Laws and penal prosecutions shall be carried out in the presence of the Chief Public Prosecutor's Office in accordance with the Law on Intellectual and Artistic Works numbered 5846 and 4110, the Law on Cinema and Musical Works numbered 3257 and the Law on Markets numbered 551". There is also some care for you cassette information; "Kasetinizin A ve B yüzlerinin süreleri birbirinden farkli olabilir. Kasetinizin arka yüzune geçmeden bandi sonuna kadar sariniz". which again translates to; "The times of the cassettes A and B may be different from each other. Wind your tape to the end of the tape before the back of the tape". The tape itself is frosted rather than transparent and includes a grey centre piece and white printed text. The layout and font size of the text is somewhat different compared to the German made European release. The title "a-ha LIFELINES" is displayed along the top of both sides but without any track listing underneath. There is a small silver hologram sticker at the top right hand corner of side 1 displaying a tree like symbol and some Minister of Culture information; "YAKMAK 987549 / T.C. KÜLTUR BAKANLIGI". On the left hand-side, the regular "wea records" logo is shown along with some Production text; "℗ & © 2002 Wea Records", whilst on the right hand side, it displays instead "SEE INLAY CARD FOR DETAILS" and some Turkish all rights reserved trademark text; "Her Hakki Mahfuzdur. T.M." Along the bottom of both sides of the tape is some Catalogue numbered coding; "KTB•2002•34•0•022•0927 44849 4", and the "BALET PLAK ve MÜZIKASET TICARET" Record Recording Company logo. There is a Ukranian release by Odyssey. It is similar to the European release with additional white Ukranian text on the back cover plus the round globe Planets of Hits and Odyssey snake logos. There are small blue and yellow rectangles in the bottom right hand corner of the front sleeve containing Ukranian text. There is a silver hologram sticker on the back cover. The disc is similar to the European release but with some Ukranian text around the outer rim. Promo editions come with a Odyssey record company sticker on the front plus a hole punched through the bar code on the back. There is also a Никитин cassette release, similar to the Russian one. It has the same track listing as the Russian bonus edition with the two bonus tracks. The sleeve is the same as the Russian edition with Russian manufacturing information. The cassette itself is transparent / grey with white text, but the layout of the text differs from the Russian edition and includes some Ukranian production and copyright information. 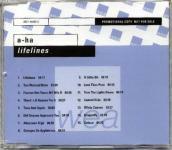 There is a US Warner-Chappell pre-release 15-track CD-R acetate of Lifelines. The paper front cover is light blue with a large blue "WARNER/CHAPPELL" logo in the centre. The paper back sleeve is also light blue and has a large faded "WARNER/CHAPPELL" logo in the centre. The track list is printed over the logo. Track 3. "Forever Not Yours" is marked as "1st single". The disc has a printed paper label on it with contact information plus "Warner-Chappell" logo.